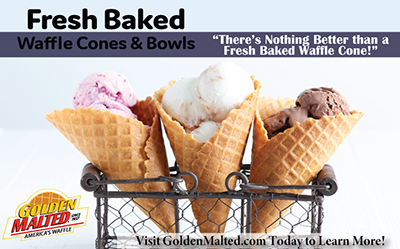 Glen Mills, PA – Golden Malted, the world’s largest distributor of waffle cone irons and mix, makes it easy and cost effective for any restaurant to add fresh baked waffle cones and bowls to their menu. With Golden Malted’s fresh baked waffle cone program, commercial waffle cone irons are provided on-loan at absolutely no cost with the use of their World-Famous Waffle Mixes. 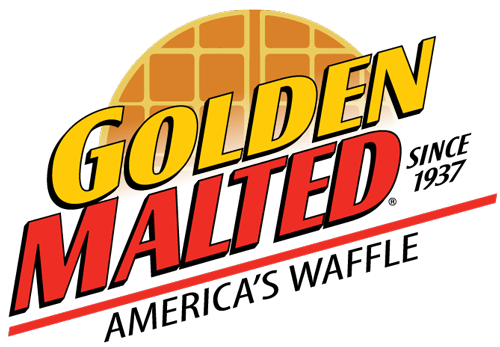 Golden Malted has everything restaurants need to add fresh baked waffles & cones to their menu. Visit www.goldenmalted.com or call 888.596.4040 to learn more today.